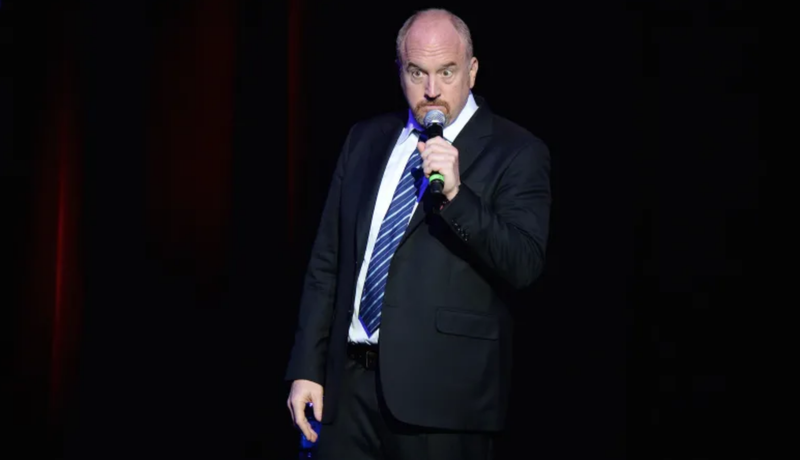 Much of the recent debate surrounding famous comedian and workplace harasser Louis CK has focused on his return to performing jokes in front of crowds. Should people pay to see? Should venues take their money? A week ago Vulture interviewed 17 comedy bookers on whether they’d host CK, and in their quest for truth produced every conceivable answer: “yes” and also “no.” Before he took the stage at New York City club The Comedy Cellar in August—his first known live set since the New York Times reported accusations he swiftly confirmed of masturbating in front of and on the phone with women without their consent—the discourse swung pendulum-like across a similar question of whether he deserved a second chance, in a less immediate sense. Both conversations assumed that CK’s voice is special for some reason, although it left room for that reason to be “because he is already famous.” Now that he is performing again, it’s abundantly clear he has nothing to say. The Daily Beast reported on that on Wednesday night CK performed in San Jose, California. Per reporter Stacey Solie’s account (she writes that ticket holders were told to place their phones in sealed cases to discourage recordings), CK spent the stage time effectively haunting the audience with hollow versions of his past self. During his set, CK returned to familiar territory, such as sky travel, this time leaning into 9/11 humor to concoct the worst airplane joke around. Some of Wednesday night’s material referenced extremely recent versions of the comic. Putting aside for a moment the question of laughter (since everyone, no matter their politics, can do it), the word “comedy” might be replaced by “power” or “celebrity” or “the presidency” and be more reliably accurate. As if to illustrate this standard, CK commented on jokes he made at the expense of victims of the Parkland school shooting a few weeks ago: “If you ever need people to forget that you jerked off, what you do is you make a joke about kids that got shot.” It’s not funny, because it’s true. Ambiguity was once a friend to CK, who, like most comedians, tells stories about himself. What used to be compelling to some was his persona, tone, and manner in the delivery of those dirtbag monologues. His vision of himself as a lost loser seemed genuine. His desire to wallow there, a bit curmudgeonly. It was complicated to hate him, and for some that made him simple to love. But he never really had a bigger thing to say so much as an uneasy dating profile to reconfigure ad nauseam. Now that we know some uglier stuff about him, that’s what he’ll keep giving us.